"Joshua and Connolly are an ideal partnership in these Handel highlights." "Four Stars ... the playing is crisp and the singing is polished and stylish, with Joshua, in particular, conveying infectious delight in this sophisticated music." "Outstanding ... I haven’t enjoyed a Handel vocal recital as much as this in a long time ... no Handelian will want to be without this disc. If you haven’t yet succumbed to the Handel bug, prepare to be seduced." 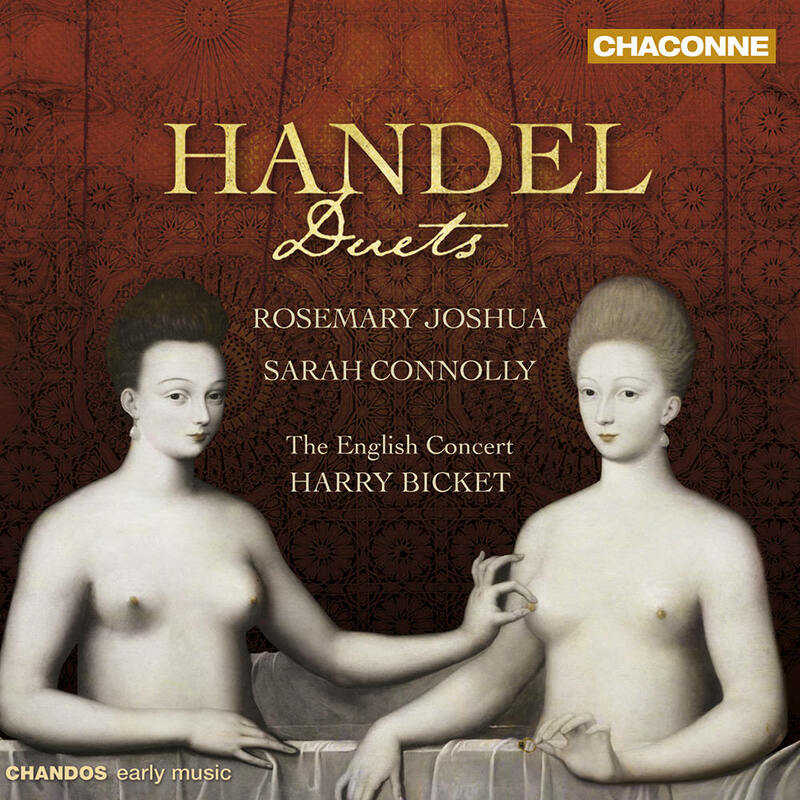 Mezzo-soprano Sarah Connolly and soprano Rosemary Joshua, two great Handelian singers, are accompanied by The English Concert conducted by Harry Bicket on a programme of duets from several of Handel's operas. Duets play a key role in Handel’s stage works; he understood the dramatic effectiveness of blending two voices together, generally those of a soprano heroine and castrato hero.